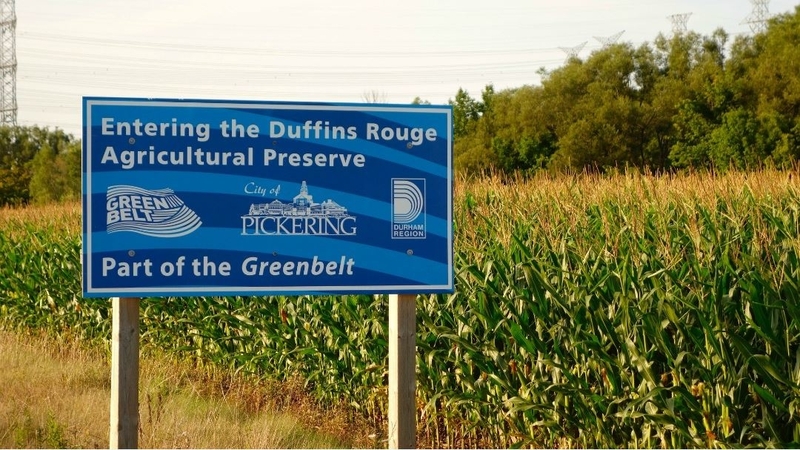 Since the late 1980s the Provincial Policy Statement has required municipalities to designate a 10-year supply of land based on long-term forecasts which today has resulted in tens of thousands of hectares of greenfield land for future urban development in municipal official plans. In that sense, few realize that the much of the Toronto region has already been planned to 2031 and beyond. 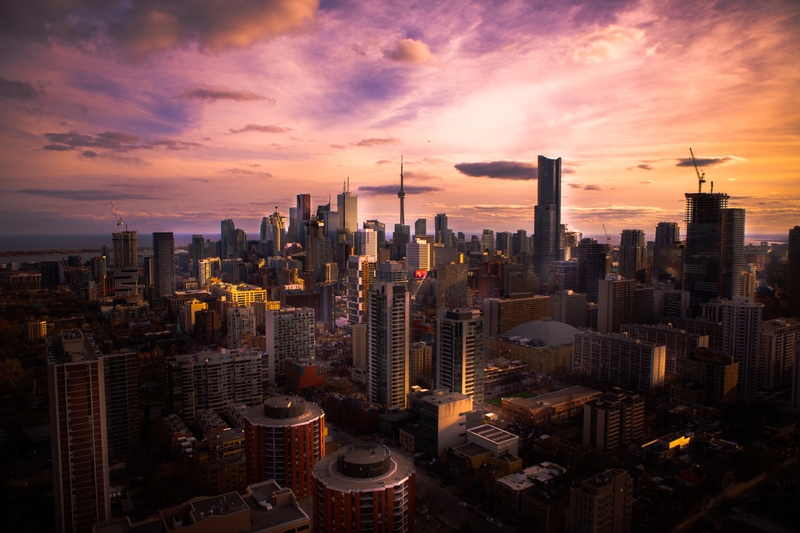 In 2006, much of the land already set aside by municipalities to accommodate growth was formally brought under the umbrella of a regional planning framework through the Places to Grow Act and the 2006 Growth Plan for the Greater Golden Horseshoe. The Plan, which was updated in 2017, involved the Provincial distribution of population and employment forecasts to upper-/single-tier municipalities across the region, first to 2031 and then under Amendment 2 of the Growth Plan to 2041. Based on these projections, the Greater Golden Horseshoe, which includes the Greater Toronto and Hamilton Area (GTHA) and Outer Ring municipalities, is expected to grow by 3.8 million people, from 8.1 million in 2006 to a projected 11.9 people in 2031. On the Geoweb PROFILES section, the demographics indicator for population growth indicates how the provincial population forecast was allocated among single-/lower-tier municipalities by their corresponding upper-tier municipalities for the period leading up to 2031. This indicator provides a sense of how much each municipality in the extended Toronto region is expected to grow. Additional population has been allocated to the upper-tier municipalities by the Province to cover a planning period that extends to 2041, but that allocation has yet to be distributed to lower-tier municipalities. 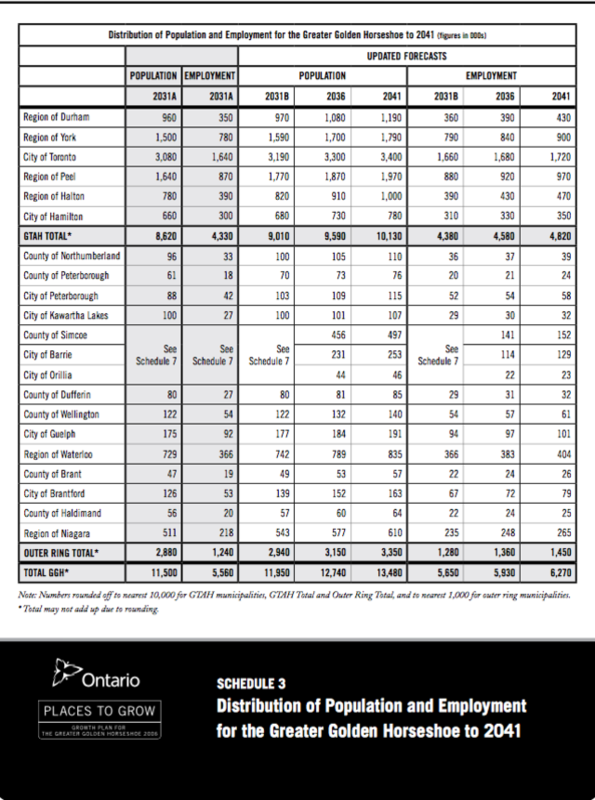 This will be determined during a Municipal Comprehensive Review (MCR) of official plans that is currently underway and expected to be completed by 2022. As part of their planning under the Growth Plan, municipalities were required to conduct a land budgeting exercise which today is called a Land Needs Assessment (LNA). When conducting a LNA, municipalities convert their population allocations to the number and type of housing needed, and ultimately the amount of land required to accommodate the planned growth through intensification in built-up areas and greenfield land needed for low density residential development. A similar exercise is conducted based on how much employment is expected in a municipality. On the Neptis Geoweb MAP section, certain map layers indicate where such land has been set aside by municipalities to accommodate growth between 2006-2031. This land is referred to in policy documents as Designated Greenfield Area (DGA). It may currently look rural or agricultural but has been designated for urban use as residential or employment lands in municipal official plans. The DGA mapped on the Geoweb is a gross area. To get a better understanding of the actual amount of land that is developable, sometimes referred to as net DGA, you can juxtapose the DGA layer with the greenlands layer which is based on aggregation of natural heritage features collected from municipal, provincial, and federal sources in 2004. While some of these greenlands have since been urbanized, you can get a general idea of the location of significant environmental and natural heritage wetlands and woodlands which are usually off limits to development. The Land Use section of the Geoweb also contains other settlement areas such as the Built-up Area, which based on provincial mapping of the extent of urban development in 2006, the year the Growth Plan for the Greater Golden Horseshoe came into law. The original 2006 Growth Plan calls for 40% of all future residential development to be directed inside this boundary as intensification. Under the 2017 Growth Plan, the intensification rate gradually transitions first to 50% by 2031 and 60% by 2041. Described in policy documents as the "Built Boundary," it is the baseline for measuring urban expansion.